Does my child have a hand fracture? This is a common question we get from parents over the phone, and sometimes from our referring pediatricians. 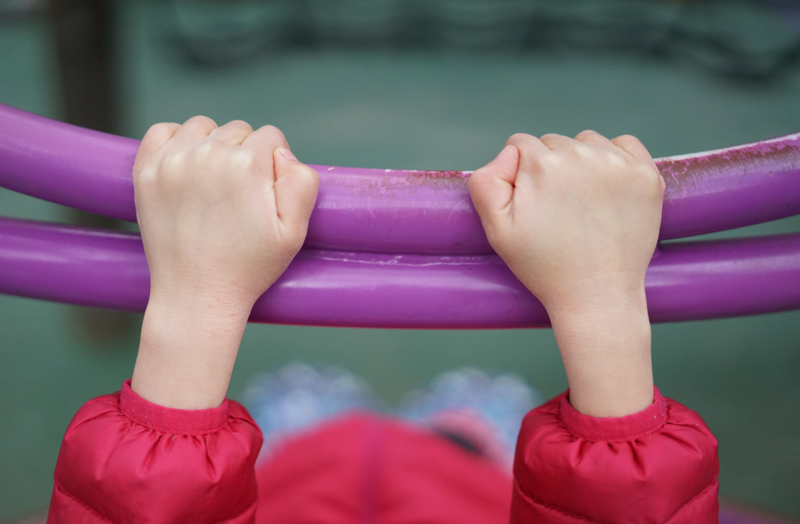 Surprisingly, there are no good studies that have looked at what factors predict a child to have a fracture following an injury. There are, however, several factors that we see frequently when children have fractures. First, the pain that kids have is sustained (it lasts more than a few minutes) and it is localizable to a specific area on their hand. Second, often there is bruising, or ecchymosis as we like to call it in medicine, in the injured limb. 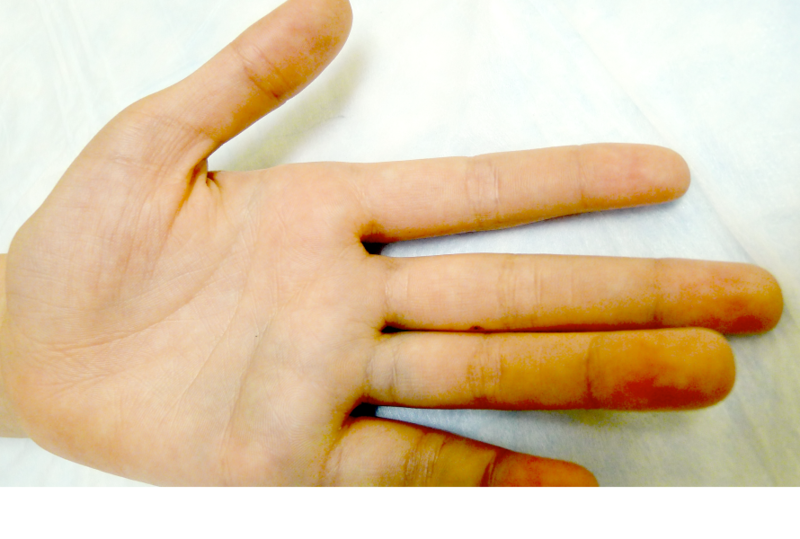 The child’s hand above shows subtle ecchymosis in the region of the small finger of the hand. In cases where the fracture is displaced your child’s finger may look like it is aligned differently than the others. Sometimes this is noticed only when he bends his fingers, which is a hard thing to get him to do when it hurts. We treat a lot of kids with congenital differences of the upper limb. Many times kids with these differences function at a very high level with their affected limb. We have children in our practice who have bilateral (both sides) congenital amputations, and continue to surprise me with their function. Don’t prosthetic limbs help? Somewhat surprising to most people, many times kids with congenital differences prefer to use their limb without a prosthesis! Eeek! My child has a cactus needle in her hand! My wife’s recent trip to Phoenix prompted this post. 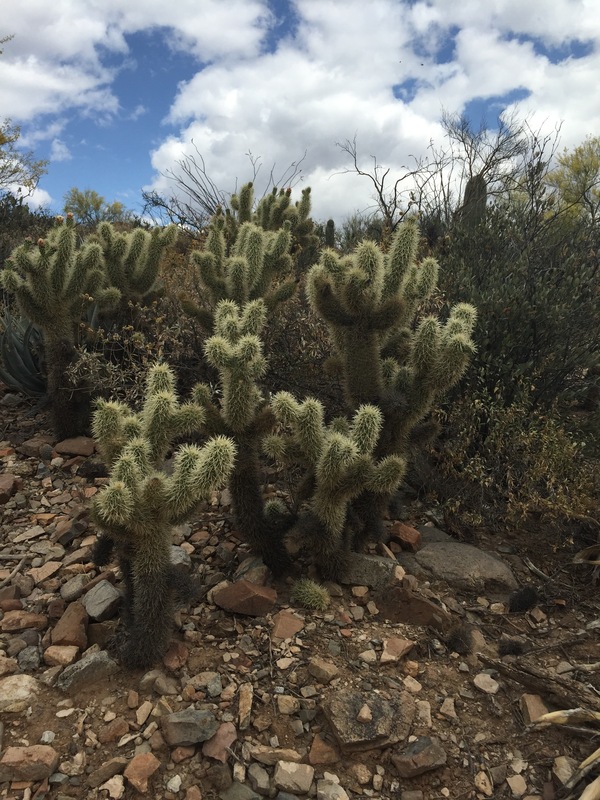 When I was practicing in Las Vegas and even during my residency training in Los Angeles we routinely took care of kids (and adults) with cactus thorns in various limbs. Injuries are unavoidable in children. My kids, especially my daughter, love the playground. They love any playground, but preferably one with some sort of structure that elevates their bodies to a height that makes me nervous. Despite the many hours that they spend jumping, climbing and sliding as a family we have had very few traumatic experiences while touring the playgrounds of NYC. In my professional life, however, I treat many kids that have playground injuries. Are there factors that may make some playgrounds safer than others? A friend of mine at U Maryland, Dr. Josh Abzug, was involved with an interesting study that was published last year. He and his colleagues looked at all of the reasons that patients returned to their doctors because they needed their casts changed earlier than was planned. Casts need to be changed regularly. This is part of the package in dealing with this effective, but cumbersome, treatment option. 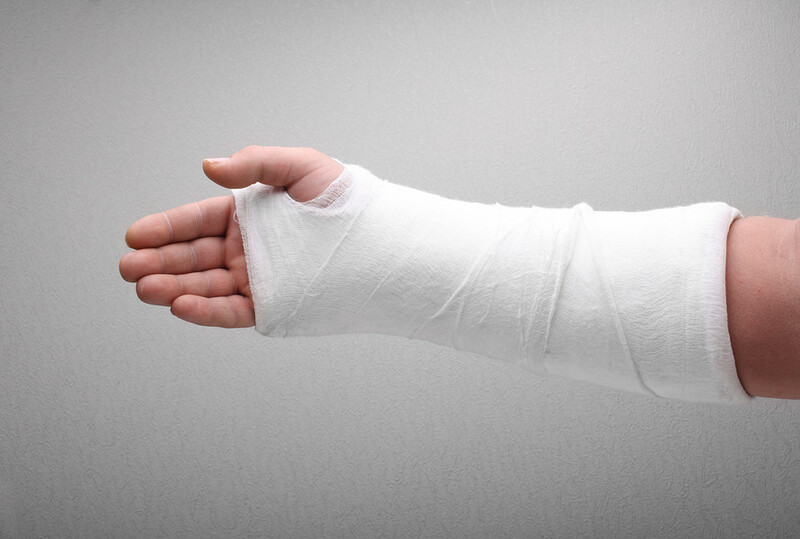 All sorts of life mishaps can thwart our efforts to use casts.